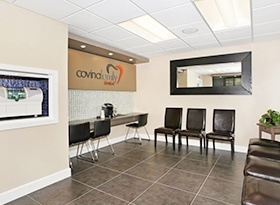 Welcome to Covina Family Dental! With Dr. Tran as your dentist, patients will know that their smiles are in very good hands from the first appointment. Our practice has plenty to offer, including a beautifully up-to-date office space, an experienced and passionate staff, and an extensive variety of services that will help you smile reach its fullest potential. Keep reading below to learn more, or feel free to contact us in Covina, CA if you’d like to schedule a visit. Being able to bring all of your loved ones to the same dental practice is a true gift of time and convenience – no more long drives between offices. Dr. Tran’s expertise can accommodate every age, from smiles that still have most of their baby teeth to worn-down dental structure that’s in need of focused restorative attention. Our goal is to help the whole family smile with confidence over the years. From the moment you step through the front door, patients will see that our dental practice is an exceptionally beautiful place. We have plenty of amenities, technologies, and touches of comfort waiting for you, such as free coffee in the waiting room and TVs in the operatories. Our team members will also be taking the time to treat you just like a member of their own family so that you always feel warmly welcomed. Excellent dentistry shouldn’t have to be out of anyone’s reach for financial reasons. 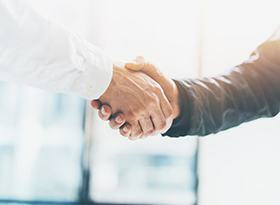 Here in West Covina, our team always lends patients a helping hand when it comes to navigating dental insurance, pinpointing available benefits, and arranging payment plans. All of this information will be laid out in clear, easy-to-understand terms as well so that you’re never left feeling overwhelmed. Covina Family Dental's mission is to provide high-quality, up-to-date dental services in a friendly and comfortable manner to improve your health. Our goal is to guide our patients along a path of optimal wellness for life. Deliver individualized, uncompromising dentistry services. Serve our patients with compassion and excellence. Serve our community by being an example of a caring, positive place to visit. Pursue excellence through continuing education, personal growth, and mastery of leading technology. Educate patients on how to care for and maintain their oral health through our hygiene department.